Obsessed with that outfit -- what a perfect weekend look! Your blog is so beautiful! Love the top! so comfy yet cute.. love target! I am so loving that tee. I think that should be on everything.. Love this post. 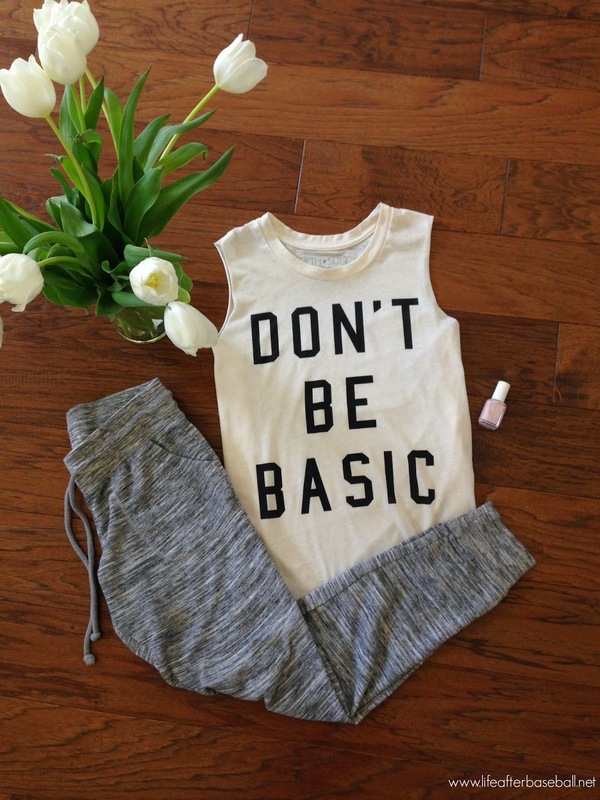 The shirt is funny - put "dont be basic" on a basic shirt and you have got a centerpiece of an outfit.